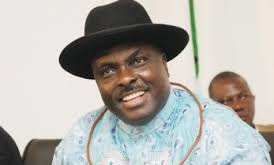 A former Governor of Delta, James Ibori, has urged Nigerians to take the ongoing Continuous Voter Registration seriously to enable them to vote in the right candidates during elections. Mr. Ibori, who is also the publisher of The Independent Newspapers Ltd., said this at the company’s Annual Thanksgiving service held at its premises in Lagos. He said that massive participation of the electorate in the exercise as well as voting their choice of leaders was the only way they could effect good leadership. “You should hold your leaders accountable by going to register, and vote in the right leaders. You should know that your vote counts; times are changing, your voter card is your strength,” he said. Recal the politician returned to Nigeria after serving a jail term in the UK. He was convicted for monumental corruption during his eight-year tenure as governor of Delta State.